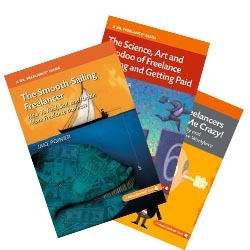 Freelance Follies: How much is it going to cost? Just realized that I’d never posted Episode #3 of Freelance Follies to this site, only to YouTube. So, enjoy “How much is it going to cost?”, in which our freelance writer protagonist encounters a website content client who’s just a wee bit focused on the bottom line. COMING SOON! New episode coming later today or early tomorrow, as I patiently wait for Xtranormal to render the piece into HD.